For many people, soaking in a relaxing bath at the end of a busy day is a great way to reduce stress and relieve any muscular aches and pains. Some people claim that the benefits can be enhanced by adding Epsom salts to the bath but others have questioned whether there is any real health benefits that are provided by including salts whilst you soak. The proponents and supporters of Epsom salts can that the benefits have been known for hundreds of years and that bathing in Epsom salts is one of the easiest ways to reduce stress and ease muscular pains. Other specific claims are that it relaxes the nervous system, provides benefit for the skin (such as treating Athlete’s foot), helps prevention of hardening of the arteries, makes insulin more effective and that it eliminates toxins from the body. However, the amount of rigorous research that would support these claims varies and, if you pardon the pun, they should be taken with a pinch of salt (particularly any claims associated with removal of toxins and heavy metals from the body as these are likely to be particularly spurious in nature). It should be mentioned at this point that if you are pregnant then you should always talk to your doctor before considering an Epsom salt soak. 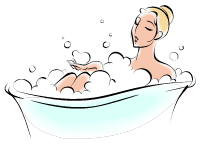 If you have any other diseases, conditions or concerns then it might be a good idea to raise the use of Epsom salt baths the next time you speak to them. Chemically Epsom salts are hydrated magnesium sulphate and there is no doubt that magnesium is important mineral for many health functions in the body. For example, some cramps have been attributed to lack of magnesium in the diet and when cramp sufferers begin to take magnesium supplements then the pain and intensity of their cramps may drop within a relatively short time. (For more information about the importance of magnesium as a mineral check out this article). Despite all the benefits and claims that you may find if you research Epsom salts, a recent online article has questioned whether or not they do actually deliver. The article itself is a fairly lengthy piece discussing this topic in some details (click here if you wish to read it). The jist of the argument is that for many years we have “known” that a soak in a Epsom salt bath is good for relieving muscular stress, pain and tension. However, when you look at the science and research that has been carried out then there is very little supporting evidence. In particular, the claim that the body absorbs the magnesium sulphate through the skin is in doubt and the author questions whether there is a plausible mechanism how Epsom salts can have an impact on muscle tissue and function. Osmosis can be ruled out as osmosis, by definition, is the movement of water molecules through a semi-permeable membrane. However, the author does refer to a study performed by Dr R Waring from University of Birmingham in UK who found that people who soaked in an Epsom salt bath had raised levels of magnesium and sulphate in their blood after the bath, although the mechanism of transfer was not determined. We have previously written about static massage strokes where there is no movement of the body part being massaged, http://www.innerwestmassage.com.au/blog/static-massage-strokes. For this post we will be introducing some techniques which incorporate either passive or active movement of a joint using similar compression and stripping strokes. 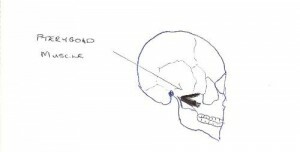 Whilst these strokes are effective within a remedial, sports or deep tissue massage, it must be mentioned that not every technique will be useful for each massage recipient. Typically these strokes will require more pressure and can lead to some discomfort, although therapists should only ever work within the pain tolerance of the client. For many of the following techniques, whether the movement is active or passive makes little difference to the actual physical action of the therapist. The difference is more that a passive movement will bring about mostly physiological changes to the soft tissue whereas an active movement can introduce some neurological impact as excessive muscle spindle activity is reduced when a muscle is contracted. Another difference may be that an active movement may cause the client pain so from a comfort level a passive stroke may be more appropriate. Shortening strokes can be effective in dealing with trigger points, myofascial tension and some joint restrictions. They are performed by applying some static compression to the part of the muscle that requires bodywork and then the tissues are shortened/contracted either by moving the joint actively or passively. Generally for the start of the stroke the muscle will be in an elongated and lengthened state. The philosophy behind shortening strokes is that by deliberately reducing the tension in the muscle through shortening then it may decrease trigger point activity and neuromuscular dysfuncationality within the muscle. If there is less tension on the muscle fibres while compression is applied then it may lessen the amount of neurological activity. Often the end position of the joint and muscle after a shortening stroke will be held for an extended period of time as a form of positional release. Often the primary intention of a massage therapist is to lengthen muscles that have been hypertonic through overuse or through a constant state of contraction due to poor posture. Active or passage lengthening strokes are a great way to achieve this objective as the mobilise connective tissue, reduce tension in the muscle and encourage elongation and lengthening of the muscle. There a number of different ways to perform these strokes. A popular approach is referred to as “pin and stretch”. Static compression is applied to a particular point using a massage tool that is strong enough and specific enough to be able to hold the muscle in place as the muscle extends either actively or passively. The sharper the massage tool then the more intense the sensation for the client. As an example of a pin and stretch technique for pectoralis minor then have a look at the video below. The second common use of lengthening strokes is to perform a stripping stroke along the length of the muscle as the muscle is lengthened via active or passive joint movement. The muscle is put into a shortened state and then slowly stretched as the therapist strips the muscle. This can be referred to as facilitated lengthening. Often for larger muscle groups this stroke is repeated a number of times in parallel so that the entire muscle is treated. The overall effect of lengthening during a stripping stroke is to magnify the intensity and the effect on the soft tissue. The trick to performing it effectively is to work slowly. The slower you work then the deeper you can penetrate without causing undue discomfort to the recipient. As a Sydney mobile massage service one of the advantages we have over clinic based remedial and relaxation massage is that we can arrive with two therapists and provide massage to couples at the same time. For busy people this can be a great way to relax and receive quality bodywork without it eating into too much free time. If you were to go to a clinic to see a therapist separately then by the time you and your partner travel and each have your massage then you can be looking at around 3 hours that you would spend apart for just an hour’s massage each. By having two therapists come to your home then you can relax side-by-side and the total time will be only the set-up and pack-up time for the therapists along with the massage. Generally it is easier for you to organise an appointment with one company so that they can coordinate that the therapists arrive at the same time but if you have a particular preference for a specific therapist (or therapists) that offers mobile massage then there is nothing stopping you from effectively arranging the couple massage with two different companies (or therapists working as sole traders). In many cities in Australia and the world there are therapists that will offer massage training specifically for couples. However, to my knowledge there is no-one offering this service in Sydney. There are probably WEA type courses that will offer classroom training to multiple groups of couples but I’m talking about one therapist assisting one couple in their home for relaxation (if anyone does offer this service then feel free to email us using contact details on main website). Occasionally we are asked if we will provide couples massage training in Sydney. Normally the request is for a therapist to provide instruction/demonstration for the couple but at present we are not really set up to formally offer this service. However, it is not uncommon for us to demonstrate a specific stroke for providing relief for a specific muscle or muscle group so that someone can help their partner (between massages) with a particular problem. Check out any massage teaching website or text book on massage techniques and you will come across a myriad of different massage strokes. For many newcomers, this can be confusing and daunting although once you realise that much of the confusion is the result of using different terms for the same strokes then you will begin to feel more comfortable with understanding and practising the various strokes. For example, one therapist may refer to trigger point therapy, another to acupressure and another to shiatsu. Yet they are all effectively talking about the same physical technique of applying static pressure to a specific point. This article will just introduce some of the possible static massage strokes that are available. It is suggested, however, that if you do wish to learn and use them that you should enrol at a suitable massage teaching establishment so that you can understand in a safe and proper learning environment. When we use the term static massage strokes, we are referring to the fact that the body part that is being massaged is stationary. We will discuss technique where passive and active movement is incorporated into the strokes in a later blog. Effleurage strokes are the most common technique used by massage therapists and they are simply the flowing, gliding stroke along the length of body. It is used to spread lubricant (either oil or lotion), to warm up the muscles and to relax the recipient. The pressure applied and the speed of the stroke can vary considerably although it is rarely the case that effleurage strokes should be painful for the recipient. Generally the massage therapist will use their palms to perform the stroke although fingers, thumbs and forearms can be used depending on the particular body part being massaged. The strokes are performed along the length of the muscles, parallel to the muscle fibres. Petrissage strokes are kneading techniques whereby a therapist will pick up, squeeze or wring soft tissue. For example, Petrissage of the calf muscle at the back of the lower leg is often used to warm up and relax the muscle. The therapists will use two hands and gently knead the calf with flowing action. Static compression is simply the action of applying pressure at a particular point on the body without any movement from the therapist. Any massage “tool” (fingers, thumbs, knuckles, forearms or elbows) can be used to apply the pressure depending upon the specific body part and the amount of pressure required. Generally this stroke is performed to deactivate myofascial trigger points and pressure can be applied for as little as a few seconds or for as long as a couple of minutes depending upon how long it takes to achieve the desired therapeutic response. Healthy muscles need to fully elongate and contract. With contraction, comes a broadening of the muscles as the sarcomeres within the muscle fibres overlap. A compression broadening strokes attempts to mimic this action (on a macroscopic level). To perform this stroke then you apply pressure to the relevant muscle using two massage tools and then slowly move the tools apart as you simultaneously stretch and compress the muscle. It is important not to have too much lubricant for this stroke as the objective is not to slide over the muscle. As an example, the flat of the fists are often used on hamstrings muscles to perform a compression broadening stroke. The therapist will apply pressure with both fists side-by-side on the belly of the hamstring and then slowly move the fists apart across the muscle fibres. This technique utilises a slow long gliding stroke parallel to muscle fibres in an effort to increase the length and elasticity of the muscle fibres. The pressure required should be sufficient to grip the muscle rather than glide along the superficial layers and can be bordering on the uncomfortable for the client. Any massage tool can be used to perform longitudinal stripping strokes and if you require more pressure then the tool chosen will use a smaller contact area. The critical factor is the speed of the stroke. If the therapist works too quickly then the bodywork will be more painful and less effective. Friction strokes can be a little confusing for the new massage therapist but once mastered then generally easy to perform and most remedial massage therapists would incorporate them at some stage during a session. A friction massage stroke moves adjacent superficial tissues in relation to the underlying soft tissue with a repeated forward and back or circular action. Any massage tool, fingers, knuckles, thumbs, elbows, etc can be used to perform the stroke and the important factor for the therapist to be aware of is that there is no movement of the massage tool relative to the skin. There is no gliding and the tool used maintains contact with the skin and moves it as the stroke is applied. These strokes are typically used by massage therapists and physiotherapists for treating soft tissue injuries particularly where there may be scar tissue. The intention is to break cross-fibre bonds with the shearing nature of the stroke. However, it should be mentioned that research supporting the effectiveness of friction strokes is limited and some question whether it does achieve this goal.